We, the Staff & Management of Charles Edwards Funeral Home & Cremations, mourn with the Lovitt family, in the death of Mr. James Eal Lovitt, Jr., age 52. Mr. James Earl Lovitt, Jr. also known as ”Fatman”, was the son of the late James, Sr. and Ida Lovitt, was born on November 13,1966. He departed this life on January 17,2019. James attended Pitt County Schools. James later worked as a exterminator and a construction worker. James was good at making people laugh and on a nice warm day, you could find on the grill. He had a special love for his love for people, especially older people. He had a great love for his family. James was preceded in death by his father, James Lovitt, Sr. and one sister Felicia Lovitt. 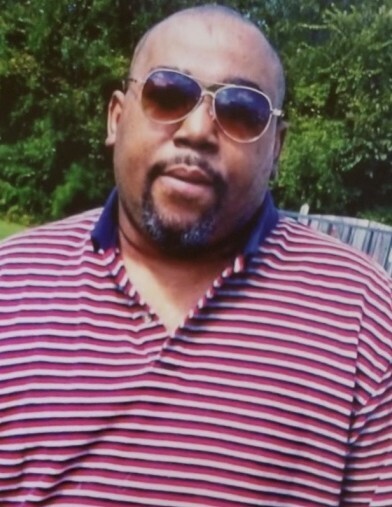 James Earl Lovitt, Jr. leaves to cherish his memories: his wife, Shonda Lovitt; a son, Christopher Lovitt; three grandchildren: Zy’kieria Danez Lovitt, Nazir Xavier Lovitt, De’marion Lovitt all of Greenville, NC. He also leaves his mother, Ida Lovitt of Greenville, NC; two brothers: Reginald L. Lovitt (Shuanya) of Greensbor, NC and Christopher S. Lovitt of Greenville, NC; three sister: Joan Green (Willie), Gail L. Genkins (Jimmy) and Cynthia L. Woolard (Gerald) all of Greenvill, NC; six aunts: Thelma Wilks of Kinston, NC, Mary Lovitt of Kinston, NC, Janice King of Grimesland, NC, Evangelist Marion Mills of Queens, NY, Shareda Barrett of Queens, NY, and Pastor Peggy Joyner (Bishop Howard) of North Have, CT; six uncles Elder Edward Barrett (Mary) and Elder Linwood Barrett (Denise) of Winterville, NC, Roy Barrett, Bob Barrett, and William Barrett of New Haven, CT and Melvin Barrett of Greenville, NC; one god child, Shaniya Barrett; a very special friend, Angel Horne and a host of nieces, nephews, cousins, other relatives and friends. Please keep the Lovitt Family in your thoughts and prayers during these days of bereavement!